Here is a senior citizen’s birthday prayer to pray personally or at a party honoring our family members, friends and neighbors as they celebrate. Copyright Karen Barber 2012 All rights reserved. Regardless of religious preference, if a preference at all, prayer is our own. It belongs to each of us in our own way. Written, spoken, or thought, I imagine that most of us pray at one time or another, or have, or will. We each may have own words, but here is my personal sample prayer for senior citizens that I am happy to be able to share with you. For awareness of nature and the beauty of our earth. For forgiveness of ourselves for errors made. For the ability to forgive others who have hurt us. For happiness to give and to receive. For love shared and to be shared. For treasured times and memories. For health, safety, guidance, mercy, and understanding. For the abundance of blessings – yesterday, today, and tomorrow. AMEN: With thanksgiving for today! Using the four guiding categories of Peace, Joy, Others/Self and Gratitude as your sample prayer for senior citizens, you can adapt and develop your own. Prayers are personal. As a senior citizen, I seem to treasure my morning quiet time more than ever, don’t you? 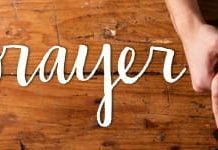 This page of prayers for senior citizens is a list of prayerful ideas and suggested practices especially for those of us who are over 60. Daily Prayer and meditation lifts us when we are down, comforts us when we are sad, leads us when we feel lost, and keeps us centered in God, Spirit, the Creator, our Supreme Being. Many of us use a daily prayer and meditation guide. Some of us pray through music. Others live life as a prayer, like our friend, Helen, in this painting. The artist is my sister, Nancy Tate Hellams. Thank you, Nancy. When someone mentions prayers and senior citizens in the same sentence, I always see your beautiful painting of Helen. Note: You do not have permission to copy or use this picture. Thank you for your respect. You will find on this page my favorite daily readers — books that help to keep me where I want to be in my life. You will also find music that inspires me. I hope that you will slow down for a few minutes and listen to the music as you read. I also included some of my favorite quotes about prayer and a helpful gratitude exercise. I learned about gratitude journaling from Simple Abundance. If you are not now in the habit of a daily reading or meditation, the gratitude journal is a great way to start. All you do is list 5 things you are thankful for — every single day. Pocketful of Miracles was written by Joan Borysenko, Ph.D., who also authored Minding the Body, Mending the Mind. The book draws from the core beliefs of the world’s religions. Pocketful of Miracles offers not only “seed thoughts”, but actual “practices.” I have used this little book for years, too. I have to admit, I have never completed the full year. In the past, I have just picked it up and read when I needed a new thought or a spark of an idea, or a new prayer. Next year, my friend and I are going to do the entire year with Pocketful of Miracles and discuss it as we go. I will never forget this scene in The Color Purple. Often when I have spent too much time chattering in prayer, I will think of this song, and quiet myself to listen. This was such a powerful scene in the movie, The Color Purple. I get chills just thinking about it. You would laugh if you could see my copy of this daily reader! In the front of my copy, there is a note “given to me by Tammy 1997.” After that, there is a long list of people I have gifted the book — and a string of dates from 1997 to the present. Simple Abundance is a daily reader for women who seek to live an authentic life. I have worked through the book completely at least 3 different years, and most years, I refer to it all through the year. Sarah Ban Breathnach leads us through the year, gardening sometimes, cooking sometimes, decluttering sometimes. But at the same time that we are going about our busy lives, we are moving toward a more authentic and meaningful life. Do you remember hearing about writing down 5 things you are thankful for every day? Gratitude is the base of Simple Abundance. PS I just noticed that my copy has highlighted areas, and notes in the margins, and a set of pages that will fall out if I am not careful. I remember ripping out those pages to take on vacation one year — to complete an imaging project. My copy of Simple Abundance has been well used, and I imagine if you have a copy, it looks much like mine. One of my favorite meditation videos, this one was created by my friend, Deb “Gypsy Owl” Bryan. The video is short and simple – a chance to reflect on the joys and the sounds of a brand new morning. In-Joy! Thank you, Deb! Prayers for senior citizens can be elaborate, musical, or simply conversations with God throughout the day. To me, the most important part of prayer is that we are authentic. 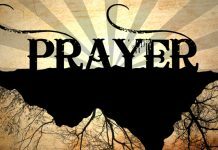 If our prayers is sincere; if we are being honest with ourselves and our God, then to me, we are in authentic prayer. Again and again, I hear from friends who are depending on this little guide every single day. Walking through grief is not a simple journey. The daily meditations in Healing After Loss make me feel as though a friend is waiting to talk to me privately every day — someone who is going through the exact same thing. One dear friend said, “no more casseroles from me — from now on, I am taking a copy of this book to my grieving friends instead.” I agree with her. A recent widow may not be ready for the book for a couple of weeks, and that’s fine. The most important thing is that she has this book in her home as a resource — when she is ready for it.